Top officials from the Department of Homeland Security (DHS) and the Department of Justice (DOJ) are warning Congress to modernize obsolete federal laws to help curb the increasing threat of drone attacks from terrorists or drug cartels. DHS Secretary Kirstjen Nielsen said in a statement that new legislation must be passed immediately. The DHS is hoping to gain more legal powers to stop any future attacks. In a speech earlier this month, Nielsen warned that malicious drones are now “a major national security concern in our homeland.” She said criminals can spy on sensitive facilities and disrupt communications, or steal data. A proposal introduced in July by Rep. Michael T. McCaul (R-Texas) sought to provide DHS with the necessary legal authority to detect, track, and mitigate threats from small Unmanned Aircraft Systems (UAS). The proposal, dubbed the “Preventing Emerging Threats Act of 2018,” gained strong support from the Trump administration. “The bill would provide DHS and DOJ the specific authority to develop, test, and deploy within the United States counter-UAS technology to mitigate the threat posed by careless, threatening, or malicious drone operations,” White House press secretary Sarah Sanders said in June. 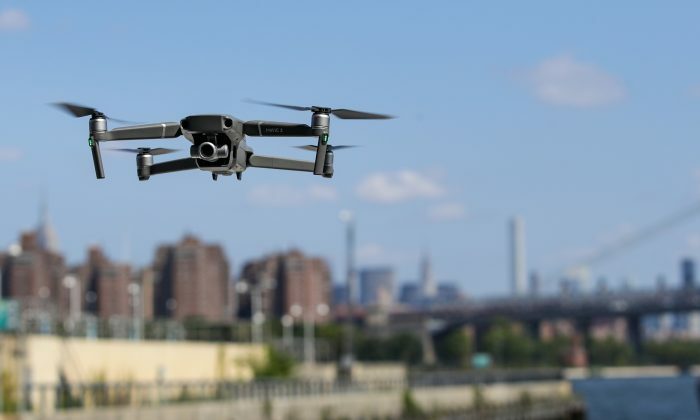 Customs and Border Protection (CBP) officers monitor drones used by drug cartels or terrorist organizations that attempt to spy on or attack the United States, DHS Under Secretary David Glawe said. Terrorist groups such as ISIS have in their possession grenade-launching and mortar-dropping drones, as well as flying decoys, according to Defense One. ISIS deploys a number of drones that can be bought online but mostly uses quadcopters for surveillance or explosive-dropping purposes. “If you want to move people, narcotics, God-forbid weapons of mass destruction, or anything else over the border, you have a surveillance location that can be now automated with drones at a very inexpensive cost by organizations outside of the United States,” Glawe told CBS News. A prime example of such an attack happened in August when explosive-laden drones detonated close to where Venezuelan President Nicolas Maduro was speaking; Maduro and top officials managed to escape unharmed. Attorney General Jeff Sessions has also supported legislation that would counter drone threats. In a Sept. 25 statement, he called for Congress to pass the Preventing Emerging Threats Act. “We need this authority today,” Sessions added. The McCaul proposal, which was approved by a Senate committee, has been bogged down as civil-liberties organizations say it could infringe on citizens’ rights. Tucson Sector Chief Patrol Agent Rodolfo Karisch told CBS that the drones they’ve spotted along the border already have the ability to carry weapons. Federal agents currently aren’t allowed to shoot down a drone. They can only track it and try to catch it when it lands. “There are drones now that have the ability to carry up to 300 pounds, if not more of a payload. So that is a significant risk for law enforcement officers and agents in this country,” Karisch said.